Although growing hydroponically is soil-free, this doesn’t mean that there is nothing to support our plants. In most hydroponic systems, growers use different types of hydroponic media to help support their roots and maintain a good water/oxygen ratio. 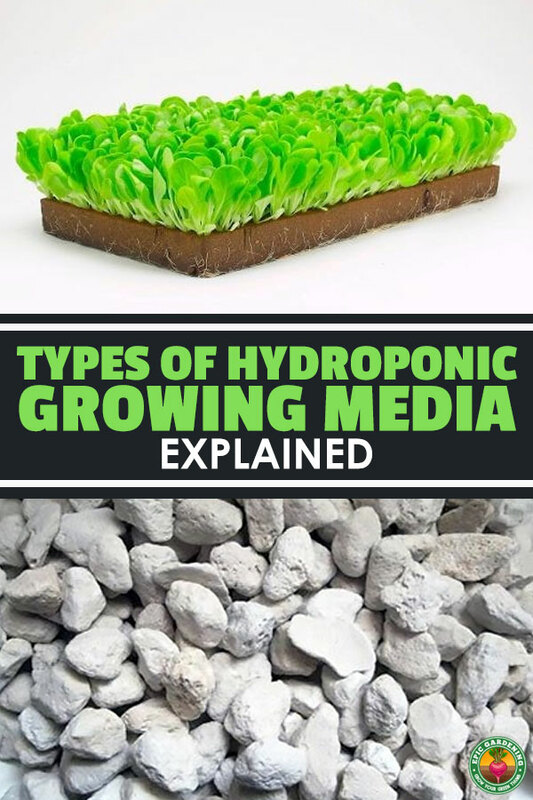 In this guide, I’ll give you a breakdown of the most popular types of hydroponic growing media. Every hydroponic gardener has their own preferences, so I’ll give you the advantages and disadvantages of each medium so you can choose the one that works right for your situation. Coco coir is quickly becoming a favorite among hydroponic gardeners. 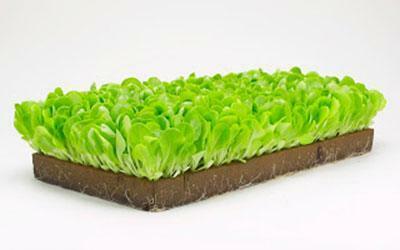 It’s made from ground up coconut husks and represents a giant leap in hydroponic growing media. To understand why ground coconut husks are becoming so popular, let’s take a look at what a coconut husk does for a coconut. Coconuts are grown in tropical regions, and often times they fall into the ocean when they are ripe. The husk protects the seed and flesh from sun and salt damage. Most importantly, the husk acts as a great growing medium for the coconut to germinate and create new trees. Now apply these benefits to hydroponics. 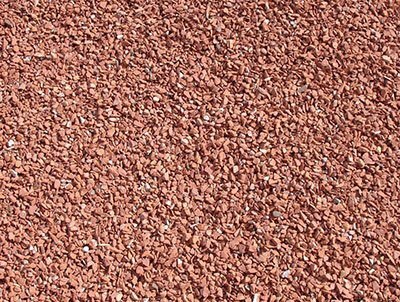 The ground up coco coir will act as a great hormone rich and fungus free medium for our plants. In the same way that it helps the coconut to germinate, it will help all of our seeds and seedlings to start strong. Coco coir has a great air to water ratio, so we don’t have to worry about drowning our roots. Best of all, it’s completely renewable. 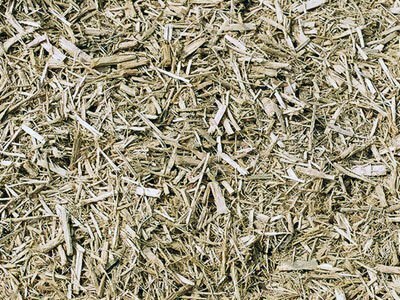 Coconut husks would generally go to waste or be composted if they weren’t used in hydroponic applications. Here, we’re taking what was once a waste product and re-purposing it to grow more plants! Read the in-depth coconut coir guide here. When coupled with fabric pots moisture problems can be avoided. Built up salts can often be a problem, but there are many lines made particularly for coco that allow for easier flushing. Try using Canna Coco and Smart Pots. 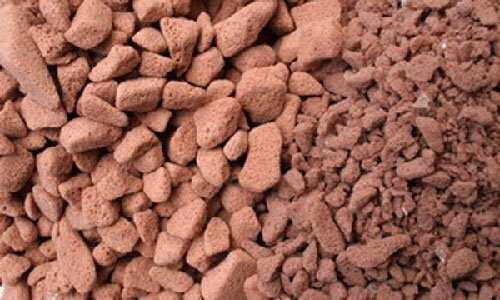 What Are Expanded Clay Pellets? Arguably one of the most popular media to use in days past has been hydroton expanded clay pellets. As their name suggests, these are made by expanding clay to form round balls of porous material. The best part about them is the fact that they release almost no nutrients into the water stream and are pH neutral. In addition, their spherical shape and porousness help to ensure a good oxygen/water balance so as not to overly dry or drown the roots. 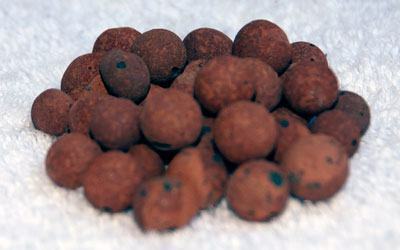 Read the in-depth expanded clay pellet guide here. Endlessly reusable, but heavy and drain poorly – can dry out roots. ​Works great as a reusable medium and allows for easy plant and root removal. Roots sometimes get entangled in the pellets but generally they are easily cleaned. What is Sure to Grow? Sure to Grow is the leading company offering a plastic-based growing media. There are two camps here: one side loves STG, and the other can’t stand it. STG’s marketing suggests that it’s a wonderful growing media that has a plethora of advantages over other growing media, but the gardening community seems to be on the other side of the coin. Roots embed deeply into the medium and the plants and medium become one. Need to have a top layer that stays 100% dry or it promotes algae growth. 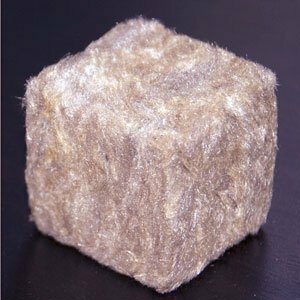 Oasis Cubes are similar to rockwool cubes. If you’ve ever gotten flowers in that strange green foam-like substance, then you have a good idea what oasis cubes are like. It’s an inexpensive media that you can use for the germination and seedling grow phases. Perlite is something that many traditional soil gardeners already recognize. 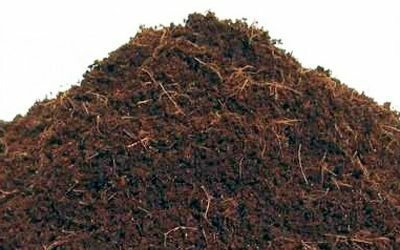 It’s a soil-free growing medium that has helped to add aeration to soil mixes for years. It’s created by air-puffing volcanic glass to create an extremely light and porous material. It has one of the best oxygen retention levels of all growing media because of how porous it is. Read the in-depth perlite guide here. 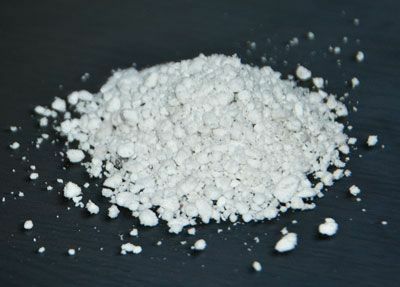 Straight perlite growing is one of the tried and true methods of hydroponic production. With virtually no cation exchange this media is a great option for longer term crops; especially in drain-to-waste scenarios. You have to watch out for moisture deficiencies as it holds absolutely no water! A new and innovative entry into the hydroponic media space is what I will call a sponge start. It’s made up of organic compost and doesn’t break apart like soil due to a biodegradable binding material. 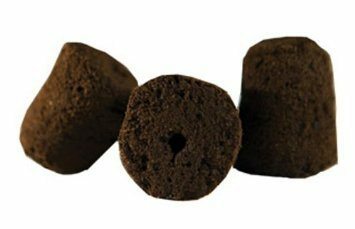 For those who are concerned about sustainability and organics, sponge starts are a great way to start seeds and incorporate them into your hydroponics system. I use these extensively for my seedlings and clones and I have to say that they are the most convenient and simple way to start out large quantities of new plants. You simply place them in trays and the roots grow straight downward towards the opening in the tray at the bottom. This is helpful when transplanting into any type of hydroponic system, where roots growing out to the sides aren’t as beneficial. If they remain wet and fungus gnats are a problem in your area, the gnats will infect the plugs. Rockwool has been around for decades and is well-known in the hydroponic growing community. It is made by melting rock and spinning it into extremely thin and long fibers, similar to fiberglass. They take these fibers and press them into cubes of varying sizes. Rockwool has all of the benefits of most growing media, with some pretty serious downsides. It’s not easy to dispose of – thin fibers of melted rock will last essentially forever when disposed of. Additionally, they usually come at a high pH and need soaking. The fibers and dust created in the spinning and compressing process can be harmful to eyes, nose and lungs. You can prevent the dust by immediately soaking rockwool in water once you take it out of the package. Because of these downsides, rockwool is rapidly being replaced by starter plugs as a reliable way to get seeds sprouting in your garden. I came across growstones a while back at a hydroponic expo and fell in love. The company takes discarded glass bottles from landfills, crushes them into a powder, melts the powder, and mixes in some calcium carbonate. It bubbles and then they cool the mixture and break it up to form what looks like lava rocks.It’s extremely lightweight, sustainable, and a great medium in almost any application. The one downside I”ve run into is that you typically can’t reuse it because roots will stick to it after harvest and ruin sterility. These are the shells that surround rice. They allow for good drainage and retain little water in general. 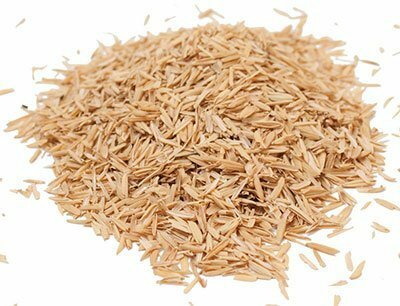 Rice hulls are a product that would normally be thrown away, so putting them to extra use in hydroponics re-purposes something that would otherwise be thrown away. Very similar to perlite. 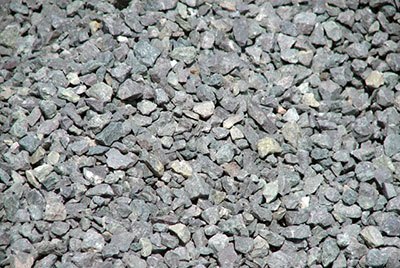 Lightweight mineral that is crushed and used in some hydroponics systems. One of the most plentiful types of media on the planet! Sand is extremely cheap (or free!) Sand is cheap and easily available. It’s a great way to get started, but it is fairly heavy, must be sterilized often, and has low water retention. Arguably the oldest hydroponic media, holds no water or nutrient load and can exacerbate deficiencies quickly. This is the same material that is used in aquariums. As long as it is washed, you can use any type of gravel. Relatively cheap and easy to clean. A great DIY starter media if you’re short on cash! Works very well as long as it is not in contact with the water or it can cause PH swings. Great medium because it is cheap and readily available. It can be reused but due to their small size, it is common that they get very tangled in the plant roots which makes it not worth removing and cleaning since it is already so cheap. Simply wood. Great and efficient media for hydroponics. If you want to go truly organic with your growing media…you can’t get any better than wood chips! Additionally, some studies have indicated that wood chips reduce the effect of plant growth regulators, meaning your plants may grow slightly larger. Name says it all: crushed up bricks. Very similar in effect to gravel. However, they may affect the pH as they are not pH neutral, and also require extra cleaning to get rid of brick dust. 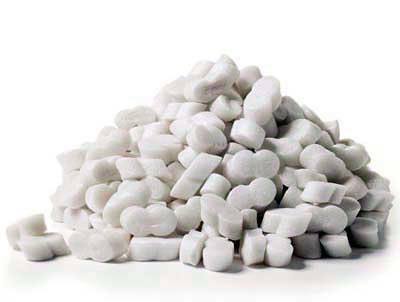 What are Polystyrene Packing Peanuts? These are the standard packing peanuts used in the shipping industry. They’re cheap, available everywhere, and drain fairly well. Tough to use uncovered outdoor due to their light weight…the typical use is in Nutrient Film Technique systems. There is the possibility that plants will absorb styrene, so these may pose a contamination risk. 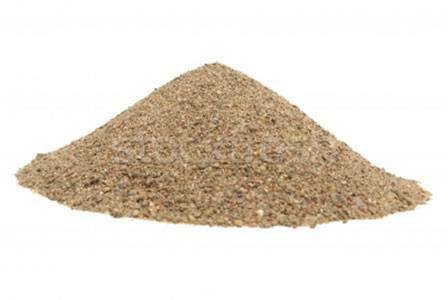 Vermiculite very similar to Perlite. It’s a mineral that is heated until it expands into pebbles. It retains more water than perlite and can wick (draw) water and nutrients upwards. Often used in combination with other types of media to create a highly customized media for specific hydroponic applications. 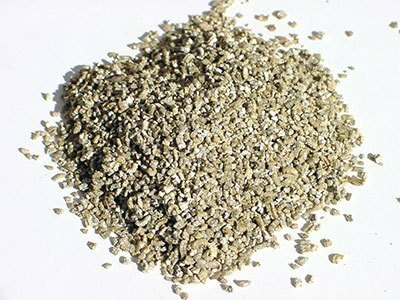 Read about vermiculite vs. perlite here. Hi Kevin thanks for the article. What are your thoughts on using Jiffy Pellets for propagating seeds, and then inserting those into clay pellets? I’m starting a DWC and Jiffy pellets are cheaper and more readily available than Rockwool where I live (but I could still order online if needs be). From reading, my concern is that since the pellet is organic it might break down and cause issues, but I don’t have any experience. Or if you had a completely different suggestion for my situation I’d be grateful as well, thanks! Looking for the best growing medium that can transport seedlings to aeroponic grow method. I’d go with coconut coir for your situation. I am planning to setup dutch bucket (Bato) system in the balcony. I am planning to use mixture of perlite and coco-coir. Please suggest best growth media for the same. A perlite / coco mix is a classic one for dutch buckets…you should do well with it! 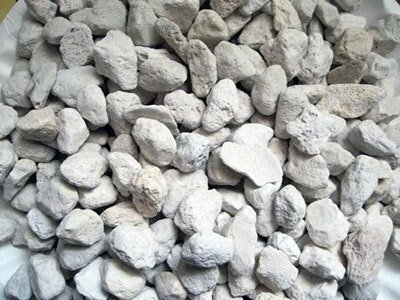 I have been using pumice for my indoor plants and like it, but when using it with self-watering pots, the water appears to be cloudy. I just ordered the clay pebbles, and am wondering if I could mix those with pumice in my self-watering pots. Can anyone advise me? Since both are reusable, it is cheaper than soil in the long run. Should work just fine and you’ll run into less issues with the cloudiness of the water as well! Just started hydrophobics. Trying to learn as much information as possible. I’ve seen this work pretty well, and your technique of composting it after one or two seasons makes sense too. Good way to work it back into the garden! anyone know where to get diatomaceous earth pellets? Holy crap, when I started reading this, I was sure it was just another 5 year old conversation that I just caught up to! Just throwing this out there as I am an experimenter, and have no budget. I have set up a one bucket DWC, and I put a plant that is in soil into it. The plant is in an upside down juice bottle, so the roots have collected at the neck, and I think they will keep the soil in place. It took less than 10 minutes for the roots to reach down the 1/2 inch into the water and start exploring, plants are amazing. I think if I don’t topwater, the humidity should keep the soil about perfect, with a wicking action going up to the heat from the light. I’ll probably get mold or rot, but maybe not, will let u know! Keep us all posted on your experiment! Just wanted to put my 2 cents in. Put over the grow bed. small plant with root zones will need proper size but should not difficult to size plants / fabric. When grown into the fabric then they should be stable for long term. This is for deep water culture – I am certain it can be used in many ways. Hey! Great article on different growing media. I’m experimenting with paper towel wicking moisture up expanded clay balls. I have a strip of paper towel with one end in the water running up a net-cup filled with expanded clay balls. I place seeds on the strip of paper towel. They seem to germinate okay, but if I let the water level dip below the paper towel, it’s bye-bye seedlings. Any thoughts on this setup? Paper towel works to wick, but it will deteriorate quickly. I would recommend getting cloth rope instead! i’m new to hydroponics. want to grow tomatoes under dutch buckets as we found this cheap and easy to build. But couldn’t find good and easily available medium in buckets. -if i use coco peat. so, is it ok to fill buckets with it as my growing medium. -Is it better to use Gravel for my growing medium. Method would be the same like filling the whole bucket to hold plant. will be thankful for your guidance. 1. Yes, but you have to make sure you wash it free of salts and monitor the pH closely. 2. Gravel works well, it’s kind of like hydroton but more readily available. Hmm interesting…I’d mix in some acidic soil amendments if you need it a bit lower if I was using Pro Mix HP and needed a pH drop instead of liquid. I have been using Evaporative cooler pads and cutting to size. They are readily available at Lowes or Home Depot. I have also used the foam material made to fill rain gutters to keep leaves and trash from filling them. This is more expensive and comes in an awkward triangular shape. Those are some good options! Gravel would be good, but I might add hydroton / expanded clay pellets just to provide a bit more aeration. Been referring to this frequently now that I’m trying to grow mint and basil in a tropical climate using small container hydroponics (net pot with hydroton/gravel in a glass jar) and belatedly realized that, well, the comments thread on this article is very much alive. Anyway! Since it is, I would like to say a big thank you to you for this informative article! The internet seems to have a mixed response about whether the water should be allowed to touch the bottom of the net pot or not, with the no being the more common answer, but I guess I shall let it when using gravel, since you have warned me that the roots may dry out. We’ll see how it goes (this is my first foray into hydroponics and I am known to be a very bad gardener indeed)! Happy New Year in advance and have a great one ahead! Hi Kevin – Thanks for all your great info. Would sea sponges work as a growing medium? Hmm…I couldn’t say for sure. Never used them myself. Creative idea though – give it a try and let me know! This is what I DO man. Love it. Good point about the hydroton. The dust just keeps coming as they keep rubbing against each other and basically eroding themselves. Good point! Thanks for the help when I saw this website. Can I ask a question.. Are corn cobs good enough for a medium for hydroponics? Wow! What an informative and thorough article! I am just learning, and this was so helpful! You rock! i love to see mainstream getting to appreciate our culture. we are in a new day and age and its good to find good info about our hobby/business. what about a clump of “old man’s beard”? Unique suggestion! As long as it doesn’t rot or break down if subjected to wetness, I’d give it a shot! I’ll head out to the wood later on, it might be worth the gas. my company was searching for CO UCHSC OASIS-B1 several days ago and saw an excellent service that has an online forms library . If people are searching for CO UCHSC OASIS-B1 too , here’s a https://goo.gl/K8HxsN. Hate to necro a thread, but there are now coconut fiber pellets. Similar to peat, but using coconut fiber. How have you found using them William? Thank you for the info. Well done. Rockwool is hard to get where I live, and from what you wrote, I won’t have to look for it anymore. Little side-note though: Your site is good looking, but it is the burden. Unfortunately. It constantly loads some data in the background. For people with old operating systems (e.g. Windows XP – like mine), it crashes my browser. Too much unnecessary processing is going on in the background. Take it just as a friendly notice, to help you to give better service to people who are still using older operating systems. Your webmaster should be aware of that. I personally like to mix my own media from 4:1 perlite/vermiculite. Perlite for drainage/air and vermiculite for water retention. This way you can mix how you want it, with a good balance of drainage and water retention although 4:1 is usually optimal. Hi Kevin, great article! I’m actually trying to build an hydroponic wick system in Argentina, and can’t get to find coco peat. I was going on for clay pellets for the lower part of the system, but can’t get to find a suitable and nice top for the seeds to start growing. Was thinking about rock wool but I understand the downsides. Can you recommend any other mediums to use? Impressive work Kevin! 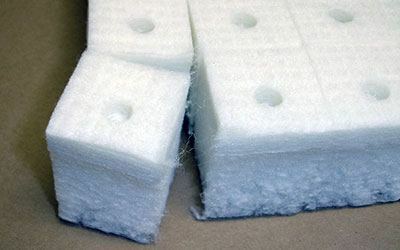 Have you heard of any results on using untreated polyester batting for germination (like pillow stuffing or quilt batting without fire retardant)? Was thinking it might be something inert, that won’t breakdown or spread through a system or risk introducing disease (in case of aquaponics). Also considering the type of felt used in movers blankets or carpet underlay. e.g. from recycled plastic food containers / bottles (PET1 – hopefully without pthalate leach). I’m aware of nurseries using capillary mats for bottom-up watering, often with a polyethylene sheet on both sides, with holes for pots on top. I’m not sure whether some might use similar material inside. I’m wondering how a felt wick (to assist germination), inside hydroton filled netpots would go. While I agree that it is effectively non-renewable, the peat bogs are pretty well regulated as far as removal rate. I personally don’t use it, but feel it would be irresponsible not to include it in the list! Great article, Kevin. Thanks for sharing! I am starting a aeroponics structure and I am starting small- in a 5 gallon food-grade bucket. I was going to get the net pods and read about Neoprene foam slips.. I was wondering if you’ve heard of these? This is just one option as you’ve mentioned several above- one of which I am really interested in getting/finding more info about are the coconut husks. Do you recommend anything else besides the coco coir inside the net pods or is that all I would need to either start a seedling in or clone from another plant`? Also, one last question what do your recommend more for starting from seed: the oasis cubes or the starter plugs? Appreciate your advice and look forward to your response! Thank you Chelsea! I’ve heard of them, and in fact have something similar right now from Bigelow Brook Farms. I personally love coconut coir, but I like to start seeds in the seed starters that you see in the post above (starter plugs). Then I can move those into the net pots with a coconut coir medium surrounding the plugs. Yes! Thank you very much!! And another couple questions- did you do that same process with the tower garden structure? DO you find the Tower Tonic solution to make all the difference as far as the consistent rapid growth? Do you recommend any other mixes or solutions? I heard Vitamin B1 is all one could need for harvest but I guess it depends on how much harvesting and what vegetables, etc.? The first thing I would do is go with General Hydroponics 3 Part, which you can find in the “Store” section on the site – it’s a lot more complex to mix your own nutrients. If you REALLY WANT to, I would look into a company called JR Peters that makes their own custom nutrient blends. Which ugro coco plugs did you find worked the best? And do you think using just the coco plugs made it any more beneficial than both the starter plugs and the coco coir together? it’s basically just a 2 in 1 type thing correct? And you could start the seed in the coco plugs and directly apply the seedling inside the coco to the net pod? I would probably just go with something like this off of Amazon: http://amzn.to/1Cj83va for the plugs. The only reason I use the starter plugs AND coco coir is because in larger net pots, you need more medium. But in the Tower Garden ones, you don’t because the net pots are small. Ok, I see. I’m not using the tower garden pods.. I was planning to use 2 inch pods.. If there is extra space should I just fill it with coco coir? can i germinate and get a plant going then transplant to dirt ? Btw, I have a tower unit, & the seller suggested Growstone for that particular unit. But it has been interesting to read about the various options. I’m a big fan of Growstones for every hydroponic application, especially since Hydroton has become hard to find. I’d use Growstones with a seed starter like a peat pellet for some stability though. I’m starting seeds (microgreens) separately. So I can eliminate that step then, and start them in the peat pots in the unit? Also, what do you think about buying plants & washing the soil off? Awesome! I love microgreens. I even had a small business growing and selling to restaurants back in the day. You can start in the unit, but in my opinion it’s always safer to start in a smaller area you have more control over, then move the pellets out to the tower. I’ve also bought and washed…sign up for my newsletter and you’ll get a free guide for a hydroponic herb garden that talks about buying and washing (it works just fine). can you grow microgreens in pea or aquarium gravel only ? I wouldn’t recommend it. Once the microgreens use all of the nutrition they get from their cotyledons (seed leaves) I like to make sure there is SOMETHING in the growing media for them to use. ok make sense. but it will germinate. right ? since microgreens technically the 1st set of true leaves then it is ready to harvest. right ? will the cotyledons be enough to support the growth of the 1st set of true leaves ? also my plan is to do a bottom feed self watering container like container with bottom holes over container with the water and nutrient solution ? do you think that it just might work ? I’d be careful with that, you don’t want to keep the seeds TOO moist. This is why I would not recommend the gravel approach and instead opt for coconut coir, soil, or a mixture of the two. thanks for the info. very informative. last question if you don’t mind. what would be a good REUSABLE grow medium for microgreens ? I would personally do 50/50 coconut coir and a soil of your choice, then dump and put through a composting cycle, then re-use after that. Cotyledons will usually support, I just like to have something extra there in case. I haven’t done a flavor test of growing in something like coco coir (no nutrient) vs. soil yet though! Kevin, are the forums still live? This link is dead. Thank you for your information–after 40+ years of traditional organic gardening, I’m tired! There is a lot to learn, so again, thanks. Thanks for the information…its very helpful. Thanks Silvia – will fix! i was wondering if u put together the spread sheet on medium mixing? I haven’t yet Larry – but I will! First of all congratulations for your website. Very good. Im doing a small aquaponic system and Im using expanded clay. But to grow the seed I dont wanna use the rockwool. I want to use something organic. Do you think this Starter Plugs could be an option? If not do you know other possibilities. It is a close system. The water goes from the fish tank that is pumped to the growing media. Thanks for the compliment, glad it’s been helpful to you. Starter plugs would be a great solution in this case – made from organic peat moss and some bioadhesive. They’re easy to transplant into expanded clay as well. I would recommend, these starter plugs as I have used many bags of them and love the results. Let me know if you have any other questions! What about water-beads (or hydro-beads, crystal beads, water pearls etc.) Have you thought about them? They can absorb nutrients, and release them over time. I am thinking of starting my first hydroponic system, and have also recently pre-ordered an Aqua-Farm from Back to the Roots. But again, my concern lies with the media. I recently purchased 2 lbs of clay stones, but those will not be enough but to do a few containers. I do have an Avocado seed, as well as a bean seed (both growing in water-beads)that have been doing rather well for about 5-6 weeks now. No root rot or discoloration yet. I do have the containers light proofed, as to discourage algae or other growth. Any help would be appreciated. PS – I really want to do a window farm, but am not sure what to use as media…HELP!!! Thanks for the comment! I personally wouldn’t use the hydro beads because of the fact that they absorb the nutrients and release over time. I prefer the plant’s roots to take what they need out of the water itself instead of relying on the medium to transport the nutrients. However, you can always experiment…they could turn out to be awesome! One more thing: I’m not sure how well they keep pH stable. I REALLY like GrowStone as a media, which you can buy here. Made from recycled glass, great air:water ratio, and reusable (to a point). The factories are very sustainably built and operated as well. Hope that helps! Awesome guide! Thanks for taking the time to write this up. No problem…thanks for checking it out! How do you think marbles would workout? They could act like the clay balls, but are a neutral glass. I ask because I’ve had a hard time finding other things. I’ve given marbles some thought, but I think you would run into problems. The hydroton expanded clay pellets hold moisture pretty well, where the glass marbles wouldn’t hold any at all. Depending on what type of system you were running you would have to be very sure that the roots weren’t getting too dry. If you’re having a tough time finding something, you can use gravel, which you should be able to get at an aquarium store. More surface area, smaller pellets and a more granular surface will help the water stay around longer and give your roots the moisture they need. I’m doing a deep water system for now, so the roots should be submerged. With that being said, is water retention something to be concerned about? There is no hydroponics store around (that I know of) and garden supplies at the big box stores are limited right now. I have seen vermiculite. I’m using plastic pots with the holes drilled in them, so I worry about the pellets falling out. Water retention matters until the roots hit the water – after that they’re just sitting in a nice oxygenated bath of nutrients, but before that point they’re vulnerable to drying out. Extra coarse vermiculite could definitely work. How big are the holes that you drilled? Lava Rocks baby. I have seen people use them with some degree of success, and they are usually big enough to not fall through your holes. Really though, order some hydroton on amazon or something, it’s what will do you the best in the long run and it’s reusable. My personal favorite media and not lava rocks: Growstones. They look exactly like lava rocks, but are really made from recycled crushed glass (factory set up near landfills), baked until bubbles form and cooled, then broken into rock like shapes. They’re totally awesome and I met the salesman/friend of the founder at a hydro convention recently! I would NOT use marbles. Like Kevin said, they don’t hold any water or air, which is half the purpose of Hydroton. You really need that moisture and oxygen, at least until the plants grow some good rots and get down into your reservoir. Plus it is re-usable so it’s one of the more environmental friendly growth mediums. Maybe you can try using marbles with Super absorbent polymers(SAP) that you can get from disposable diapers.